Residues from mining, as metabasalt powder from amethyst exploration, can be used to improve soil properties. Although there is a high-load content of clay minerals in metabasalt, the effects of this residue on cooper (Cu2+) and zinc (Zn2+) sorption and desorption have not been studied. The aim of this work was to evaluate Cu2+ and Zn2+ sorption capacity of metabasalt powder and to discuss the mineralogical behavior facing this phenomenon. This residue sorption capacity was compared to reference clay minerals under two Cu2+ and Zn2+ concentrations (8 and 16 cmolc/kg) in a competitive system (Cu2+ + Zn2+). The sorption capacity was estimated by sequential desorption using cation exchange resin. A survey of mineralogical and Cu2+ and Zn2+ concentrations was performed on metabasalt before and after sorption, and after desorption tests. All materials sorbed higher amounts of Cu2+ than Zn2+. The sorption magnitude decreased in the following order: metabasalt > montmorillonite > illite > kaolinite. Cu2+ and Zn2+ desorption from metabasalt is lower than the standard clay minerals, since the metabasalt sorption sites are expandable interlayers of clay minerals. 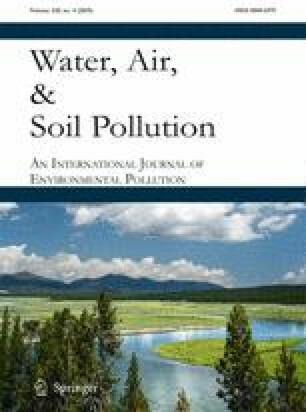 The relevance and application of our findings are critical in providing information for the management of metabasalt residue, suggesting potential use as a remediation agent in contaminated water, especially those with high Cu2+ and Zn2+ loading. It also suggests that the Cu2+ and Zn2+ enrichment of this residue could potentially be used for converting the metabasalt into a useful source of slow nutrient supply for agricultural soils. The authors acknowledge the financial support accorded (MCTI Edital CT mineral 51/2013, 406763/2013-5). The Coordination of Improvement of Higher-Level Personnel (Capes) by the Prosuc/Capes fellowship was accorded to L. Dalacorte. The National Research Council (CNPq) by the productivity fellowship was accorded to E.C. Bortoluzzi (306551/2015-2). Stiles, W. (1961). Trace elements in plants, University Press, Cambridge. The Clay Mineral Society (2015) Source Clays. http://www.clays.org/sourceclays_available_special_clays.html. Accessed 15 January 2015.